Italian film director, born in Trevico (Italy), may 10, 1931. 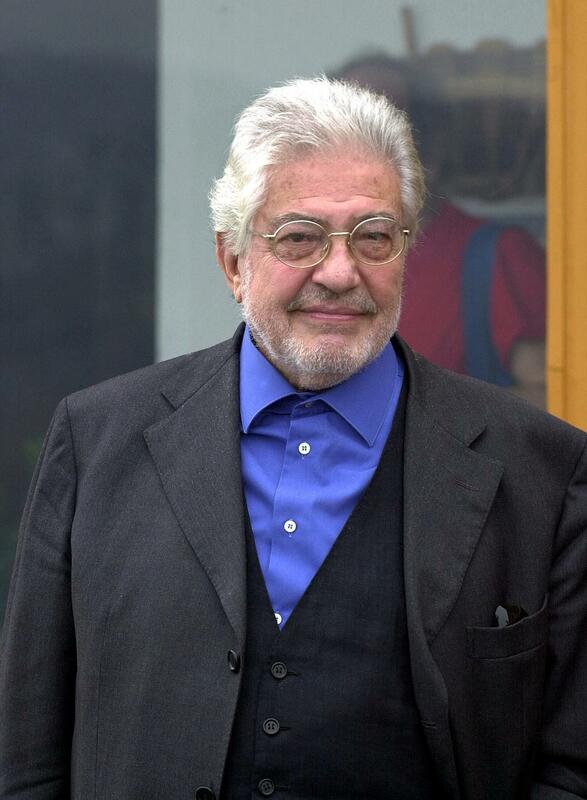 Ettore Scola studied law at the University of Rome, but never practiced. His first job was as a writer for humor magazines and precisely as a writer made his debut in the film industry. From 1953 he/she wrote for other directors, among them was Dino Risi, and passed ten years before he/she decided to go himself. In 1964 he/she debuted is permettete parliamo di donne, a comedy in the purest Italian style in which Vittorio Gassman had the opportunity to put a grain of sand to its reputation of conqueror galan. A year following Lina Wertmüller gave the replica from another point of view with talk about men. With his first film, Scola started his career as Italian director to use. The classic comedy was seen in the million of dollars (1964), also starring Gassman; Thrilling (1965), composed by three episodes - one led by Scola and the other two by Carlo Lizzani and Gian Luigi Polidoro-; or the devil in love (1966), a fable set in the French Renaissance which also featured Gassman to head the cast. His first drama provided it is a novel of Ugo Facco de Logarda, the Commissioner and the dolce vita (1969), in which explored another favorite theme of Italian cinema: corruption in the Middle areas. The demon of jealousy (1970) was his next work. An Italian-Spanish co-production; a love story with three directions, which boasts the excellent photography of Carlo di Palma and takes place in Rome in early 1970's. Precisely during this same time, Scola sandwiched adaptations as the più bella serata della mia vita (1972) - which brings together theatre of Friedrich Durenmatt - documentaries as Festival dell' Unità (1972) and Festival Unità (1973). In 1974 Scola was surprised with the story of a love triangle with World War II in the background. Nino Manfredi, Vittorio Gassman and Stefania Sandrelli share cartel with Federico Fellini and Marcelo Mastroianni, which interpret themselves. It is already a far cry from his first films cinema, focused on the effect of postwar about idealists, effect which can be summed up with the phrase of one of its protagonists: "We wanted to change the world, but the world has changed us to us". The film, dedicated to Vittorio de Sica, France won the César for best film in 1977. He again made a stop along the way to shoot a documentary entitled Carosello per campagna referendum sul divortio (1975) and then returned to comedy with his always - Manfredi, Gassman and Mastroianni, actors in charge of the distribution of ladies and gentlemen (1976). That same year won Cannes best director award by ugly, dirty and bad, a ruthless portrait on the low passions that affect four generations of the same family who live crammed in a Roman city in the interior (see Cannes Film Festival). It was only the advance on the recognition gained by a particular day, a drama about two lonely people: a housewife and a homosexual (Sophia Loren and Marcelo Mastroianni), who one day are to change his life. Mastroianni and the film were nominated for the Oscar; This, in addition won the César and Golden Globe for best foreign film. With terrace (1980), Scola was rewarded his work of screenwriter: won the award for best screenplay at the Cannes Film Festival. Also the actress Carla Gravina got his reward as best supporting actress. Passione d'amore (1981) is set twenty years before its release date, and tells the story of an Italian soldier who is sent to serve to a place far from his beloved. When Scola is the soldier in a Colonel House, where other people live, it does so with the intention to offer the viewer the game that occurs between a series of strange and unvarying characters among which establishes an intrigue. The night of Varennes (1982), which, as the city of its title suggests, refers to the arrest of the King Luis XVI and María Antonieta, is not just a movie time or with historical support. Always aware of the back room of his characters, Scola convinces the viewer that the important thing is the fable which are a group of travelers include Casanova and Thomas Paine. A year later, the dance hall allowed him to again consider a choral story, also set in France, this time from the 1930s to the 1980s. Dance floor becomes the stage of the world, where it passes all kinds of people. Without dialogues, Scola explains that the evolution over the years is practically an evolution of forms. In 1984 it was nominated for the Oscar as best foreign film; that same year Scola was getting the Golden bear at the Berlin Film Festival and the César for best director, as well as best film. After these two concessions to the group as the protagonist, Scola returned to one of his favorite actors, Mastroianni, to roll Macaroni (1985), a nostalgic and sentimental story that counts with Jack Lemmon to try again some cinematic couples chemistry, practice that Lemmon was already very accustomed. Two years later became one of the more international films of Scola: family (1987). This recovers the taste by the group, but posed as saga, where the common traits are recognizable through kinship and give stakeholders a unit that had not seen before in the cinema of Scola. It was nominated in 1988 for the Oscar for best foreign film. Gassman, in one of the best performances of his career, spiced by the fact that his character arouses no special sympathy in the Viewer, works as a catalyst for the passions, disappointments and small triumphs of a family that is exposed to the spectator through its relations people over eight decades. After having paid homage to many feelings, characters and his own country, Scola becomes the eyes towards, occasionally misnamed, industry, and pays homage to cinema in a similar way to as Giuseppe Tornatore in Cinema Paradise (1989) would then. Mastroianni is responsible for recalling, in the skin of the old owner of a movie theater, the golden years. So when you choose a group that doesn't stand out any character as when focuses its story about one especially focused, Scola has the ability to find the realistic side, the most interesting facet of the protagonists. This is what happens with Splendor (1988) and is repeated in what time is it? (1989), where a father and son come together after a long time to try to settle their differences. Luciano Novoli won the OCIC Award and Mastroianni the Volpi Cup for best actor, both in the Venice Film Festival in 1989. A new partner, this time a marriage in crisis, to which is added a friend, is the centerpiece of Mario, María and Mario (1993), which penetrates, without any shame, the boundary between love and understanding. In another deeper drama Scola sank when he/she directed Romanzo di a giovane povero (1995). The determination with which the title already describes the protagonist is the same that use the society to condemn to the base of the pyramid - the poorest - before being judged. The sentence that the young man of the title has nothing to do with the law, but with the inability to get out of misery to meet a series of normal dreams. This social commitment earned her Scola a nomination to the Oro León at the Venice Film Festival. With dinner (1998) he/she returned to retake some premises of the Ballroom. The scenario as one more, where van passing characters - this time always the same - to explain few things change over time. Scola returns to the classical formulas but already does this with the experience of thirty years as director. Established as one of the essential names in Italian cinema, Scola continues to give lessons in terms of the handling of the characters and the direction of actors. The last time that he/she directed a film was in 2003, the film people di Roma. Since then he/she devoted himself to create scripts and participate in coproduciones. In August it announced its definitive withdrawal of the film, after more than fifty years of career and more than thirty directed films, according to his own words, because already do not get "live film as in its day, with joy and carelessness" and "it was a natural decision". 1964: Is permettete parliamo di donne (and coguion); One million dollars (and coguion). 1965: Il vittimista (Thrilling episode) (and argument and screenplay, co-director). 1966: the devil in love (and coguion). 1968: Riuscirano i nostri eroi a ritrovare L'amico mysteriously scomparso in Africa? (and coguion). 1969: the Commissioner and the pimp (and coguion). 1970: the demon of jealousy (and coguion). 1971: an Italian in Chicago (and coguion). 1972: più bella serata della mia vita (and coguion); Festival dell' Unità (documentary). 1973: Trevico-Torino: viaggio nel Fiat-Man (and coguion). 1974: A woman and three men (and coguion). 1975: Carosello per referendum sul divortio campagna; Gross, ugly and bad (and coguion). 1976: good evening, ladies and gentlemen (and coguion; Co-Director); Silenzo e complicità (homage to Pasolini) (Co-Director; video). 1977: A particular day (and coguion). 1978: live Italy! (14 episodes, co-director). 1980: terrace (and coguion). 1981: Passione d'amore (and screenplay). 1982: night of Varennes (and coguion). 1983: Hall Ballroom (and coguion). 1984: L'addio a Enrico Berlinguer. 1985: Macaroni (and coguion). 1987: family (and coguion and mounting). 1988: Splendor (and coguion). 1989: what time is it? (and coguion). 1991: the voyage of Captain Fracassa (and coguion). 1993: Mario, María and Mario (and coguion). 1995: Romazo di a giovane povero (and coguion). 1997: I corti italiani (1943-1997 episode) (and coguion); 1943-1997.1998: dinner (and coguion). 2001: Concorrenza sleale and Un altro mondo e possibile (documentary). 2002: The spring of 2002. L' Italy protest, L' Italy if ferma (V). 2003: Lettere dalla Palestine and Gente di Roma. 2005: Live from Lincoln Center (1 episode - script) and Passion (episode from TV - script). 2011: Il sole inside (script). ELLERO, r.: Ettore Scola. Rome. The Nuova, Italy. 1988. Pérez, e.: Ettore Scola... a particular filmmaker. Valladolid. 31 international film week. 1986.